My first time at a musical was in 1994. It was Crazy For You which played at the Royal Alexandra Theatre. I remember it very well since it awakened my love for live orchestra, choreography, and the theatrical. Since then I have tried to keep up with most of Mirvish productions. I’ve been very fortunate to see most of Andrew Lloyd Webber’s musicals but up until last week there was one record-breaking musical that still escaped me. 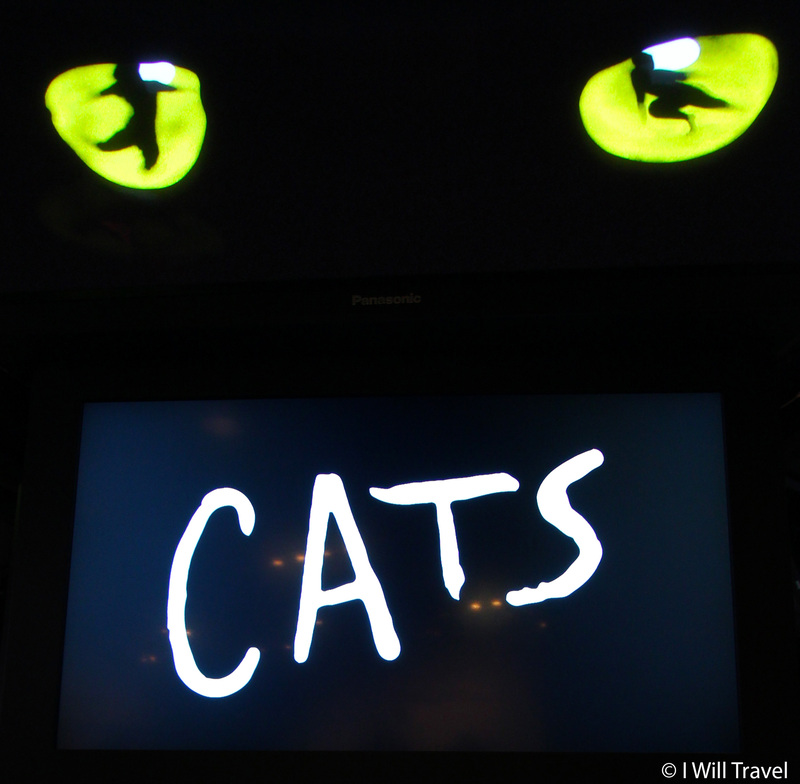 In 1981 Cats premiered in London and has since accumulated more than two billion dollars and has won seven Tony awards including one for best musical. It also holds a remarkable achievement by being the second longest-running show in Broadway history right behind The Phantom of the Opera. Adapted from T.S. Eliot’s collection of children’s poems – The Old Possum’s Book of Practical Cats – the main plot revolves around a group of cats referred to as Jellicle cats dealing with their sociological dilemmas. But don’t let this fool you. The entire show is more than just about talented junkyard cats without the need to be profound. 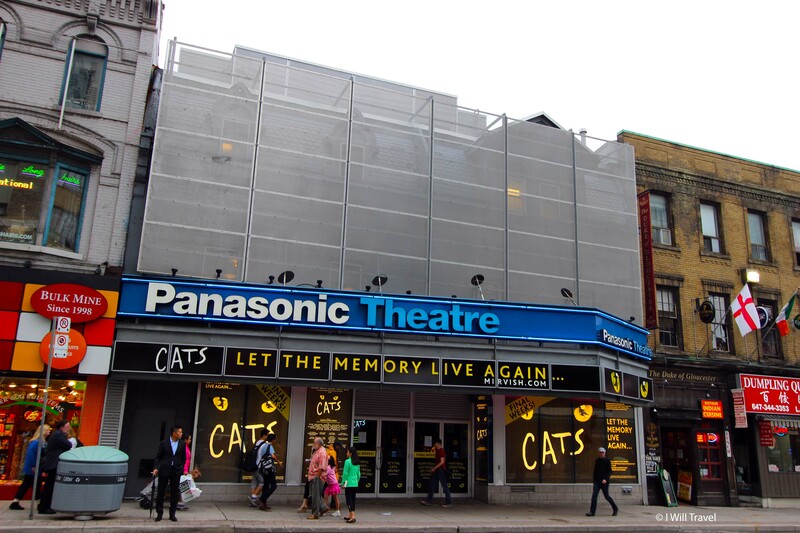 After twenty-eight years Cats returns to Toronto, only this time showcased at the Panasonic Theatre. This production of Cats is directed by Dave Campbell who’s known for spending two years at the Princess of Wales theatre with the original Disney’s Beauty and The Beast. It also features an all-Canadian cast and the return of Susan Cuthbert who is an original cast member from 1985. I attended the evening show on Saturday and although I had only heard raving reviews about Cats I was not sure what to expect. By seven o’clock in the evening the theatre was bursting inside and out with people of all ages and it was my impression that a good part of the older crowed had already seen it at least once but had come back for more; this was a good sign. The stage design was no less than creative, complete with life-size props and elements of holography. 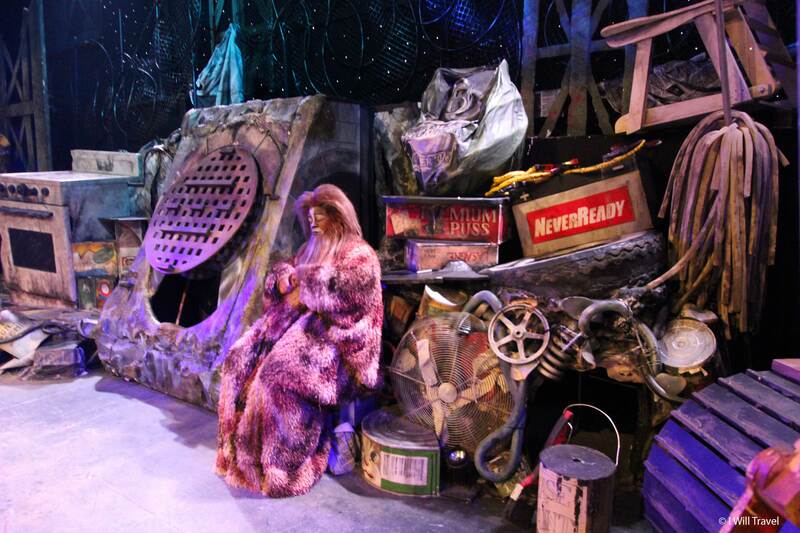 The sixty piece junkyard with a 1980s punk-rock theme was a cat’s dream playhouse. The set included a full-scale wooden model of a caterpillar excavating machine, a culvert, a climbing wall, and two sets of stairs. The cast and choreography were fantastic. Each cast member possessed catlike agility and characteristics, and like cats, easily switched from curiosity to detachment. The cast had their work cut-out for them, as they had to compete with the original soundtrack; specially “Glamour Cat” Grizabella who had to deliver the musical’s most famous song, Memory. I must admit that the show would not have been the same without Andrew Lloyd Webber’s contagious and chronic musical score. You will definitely leave the performance with songs like Jellicle Song, Macavity, and Memory infused in your mind for days to come. After almost three decades Cats is back in Toronto and it certainly lives up to its reputation by being lively, delightful, and very entertaining. Everything, from the cast’s performance, musical score, orchestra, and direction, sets Eliot’s cat poems to dance and music, providing wholesome entertainment for people of all ages. — Both of my tickets to Cats at the Panasonic Theatre were compliments of Tag Ticketing – Opinions expressed are entirely my own.